My Kossel kit had an acrylic spool holder that broke when I caught the power cord on it. So I needed a replacement. I modeled this in SketchUp. For 1kg rolls of filament that are up to 70mm wide. Snaps onto 2020 rail and mounts with an M3x12 screw and drop-in t nut. 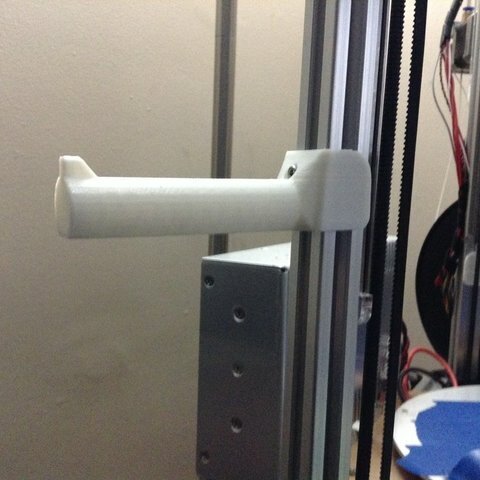 Printed with a 0.4mm nozzle at .3mm layer height. 20% fill with two perimeters. No supports. Very solid to hold kilo roll. 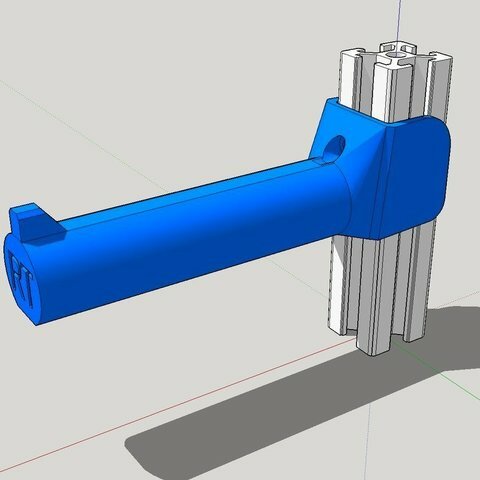 Needs one (1) M3x12 screw and an M3 drop-in t nut to mount in the 2020 extrusion. Add the screw and the t nut before you snap it onto the rail. Twist up towards the screw hole to remove if you for get the add the mounting screw.